We will design an arts-based team building experience for your agency, business, or work team. The arts provide a safe and powerful way to increase understanding, tolerance and appreciation, resulting in improved relationships and productivity. And, you will have a beautiful and powerful finished art piece to install in your space. Call for a consultation; we will create a proposal to meet your needs. EAFI Core Faculty are regular presenters at IEATA conferences, Speak Up for Kids Conferences, and more. 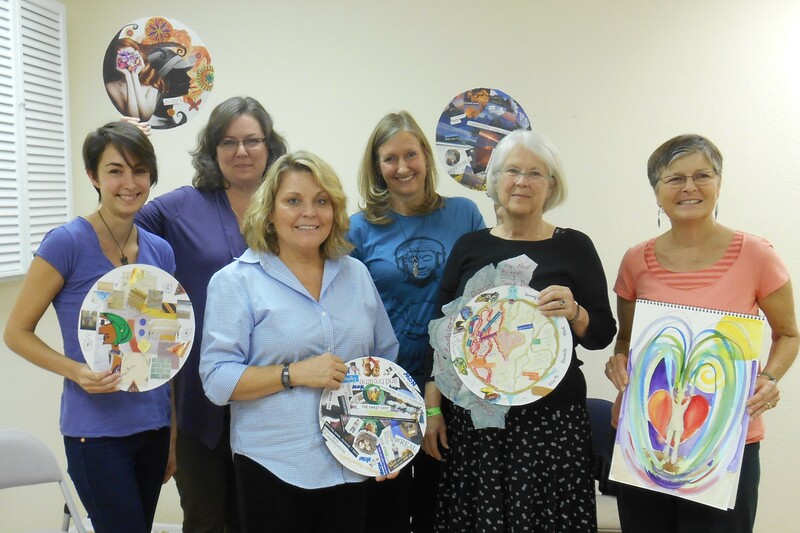 We provide participant workshops, collaborative art projects, and presentations to your group. Do you need an inspirational talk to inspire creativity? We can enhance your message with creativity and inspire your audience. We specialize in transforming your space into one of healing and wellbeing. We will work with you, your staff, students, or residents, to design and collaboratively create a healing and restorative space. Let us show you our portfolio and discuss options, ideas and fees. The possibilities range from a commissioned art work with a healing message, to a complete transformation of an environment.